Some months ago, I wrote about a project named “PortoSonoro” here on the blog. That great idea, mapping contemporary acoustic urban heritage and making the data available to researchers and to general public, has now expanded: the “Phonambient” has been born. I found out more about it some time ago in Casa da Música in Porto, during an eventful week in February dedicated to the project presentation. 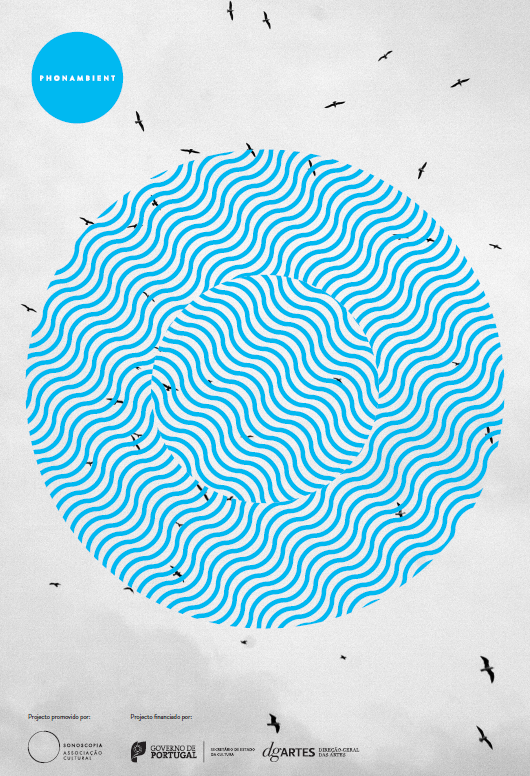 The musicians and researchers behind “Phonambient” are linked to the cultural association “Sonoscopia”. They value intuition, creativity and research equally: the project contains a combination of scientific and artistic components, and offers a fresh view onto the city life of today. Besides the presentation, a talk I had with Gustavo Costa, one of the main people behind “Sonoscopia” and a PhD researcher, was valuable to understand the project relevance and its current scope. “Phonambient” is, briefly, and extension of sound mapping ideas of “PortoSonoro” to other cities in Portugal and abroad, as well as exploration of possible (artistic) uses of the sound archives created. The “Phonambient” people are experts in recording sounds, and it is crucial even nowadays when sound recording devices are inexpensive and widely available. They are interested in various forms of artistic transformations of the acoustic archive they created, and that is what the Casa da Música event was partly about (imagine, one could find out what plants from around the city have to “say”!). However, the point of the project is also to make the urban sound archive available to other researchers and artists, to be used freely. This can be of great value for anyone who explores contemporary city: linguists, for example, among many others, as the archive contains a section devoted to local expressions and slang. And once in the future, thanks to this archive, it will be possible to reflect on the soundscapes of today. “Phonambient” is an open, collaborative platform: the “Sonoscopia” teams work with local teams in each of the cities where the project has expanded (besides Porto, for now those are Braga, Tondela, Castelo Branco, Guarda and Fundão, plus one international partner city – Abu Dhabi). So, there is a possibility for the idea to grow and transform, independently of its initiators. Right now, the project is expanding in geographical terms, as well in terms of abundance of data acquired. And that abundance is a big challenge: the huge amounts of data need to be filtered and organized, and it takes time and effort in terms of their categorization. In a word, the value of “Phonambient” is that, being open to collaboration, these artists/scientists simultaneously keep creating and envisioning future research territories. One of the ways of seeing things differently is actually…not seeing them at all! In urban spaces, diverting attention from overwhelming visual information to other sensory experiences can be particularly immersive and revealing. Nowadays, with technological solutions widely available and affordable, artists, scientists and creatives that deal with sound and urban space can explore this realm in most amazing ways. And luckily, Porto is among those places where innovative and creative research in this domain is done, too. The acoustic heritage of this city has already been recognized through a project named PortoSonoro. Voices, identities, characteristics, celebrations, resonances and particularities of Porto have been registered, mapped and made available for the general public. Ahead of heritage institutions, the PortoSonoro team has already been working on documentation, classification, dissemination and artistic interpretation of the sound heritage of Porto, and the people behind the project are professionals in music and acoustics. The goals are widely set: mapping the city sound marks, both historical and present-day, registering everyday life of the city, including emerging slang and themes people discuss over a cup of coffee, creating the acoustic experiences through imaginary sound walks. What an amazing range of possibilities to research the city life from here! Anselmo, thank you for the info! 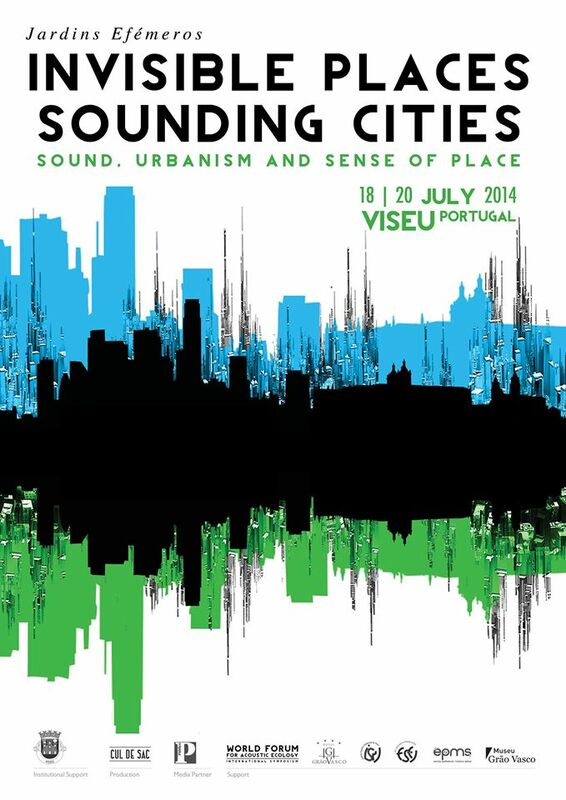 “Invisible Places” is a conference dedicated to sound, urbanism and the sense of place, taking place soon, between July 18th and 20th, 2014, in Viseu, Portugal. There is an artistic part of the event too, aiming at “transforming Viseu into an acoustically conscious city”, as the curator Raquel Castro explained. Within the tripartite structure of “Invisible Places”, uniting science, architecture / urbanism and art in public space, I am particularly interested in two of its streams: Architecture and urban planning and Urban sounds, identity and sense of place. And of course in getting to know the city of Viseu, which is an additional benefit of attending the conference.